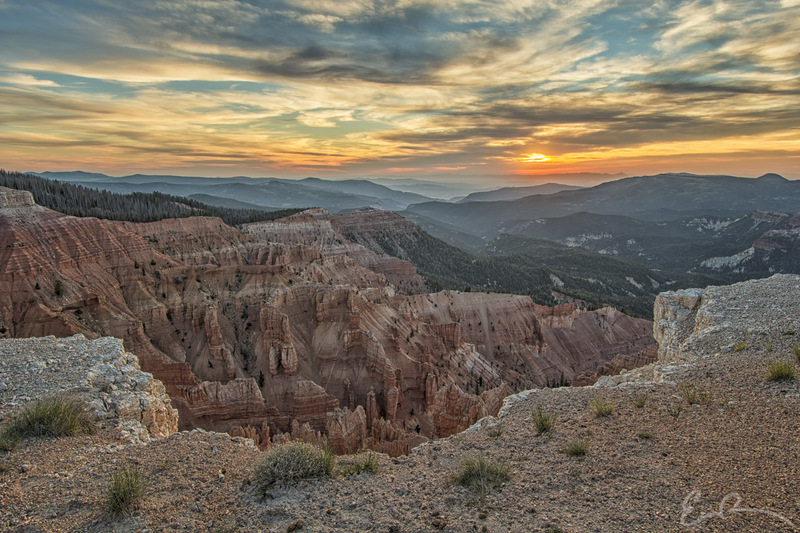 After checking into our hotel and unloading out personal items in Panguitch, Utah, my daughter and I made the quick drive back to Cedar Breaks National Monument in search of a sunset shot. I have to say Mother Nature delivered. While not the amazing “Sky on Fire” type of sunset, at least it wasn’t a total bore without a cloud to be found. Really quite pleased with how this turned out.